I was at the beautiful Kew Gardens last friday, specifically at the Handmade in Britain exhibit and what a fantastic day it was! I had never, ever seen such a great bunch of designer-makers under one roof. 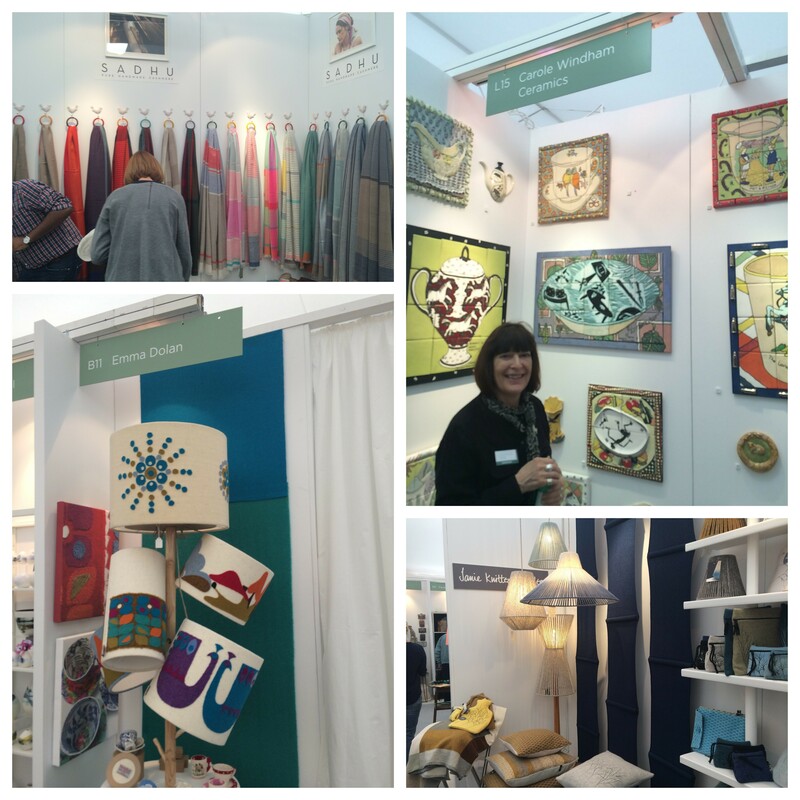 Each stall oozing creativity, each designer-maker with a beautiful story of their passion, proudly displaying their work. Some graphic prints, ceramics, lights and woolies…handmade, of course! 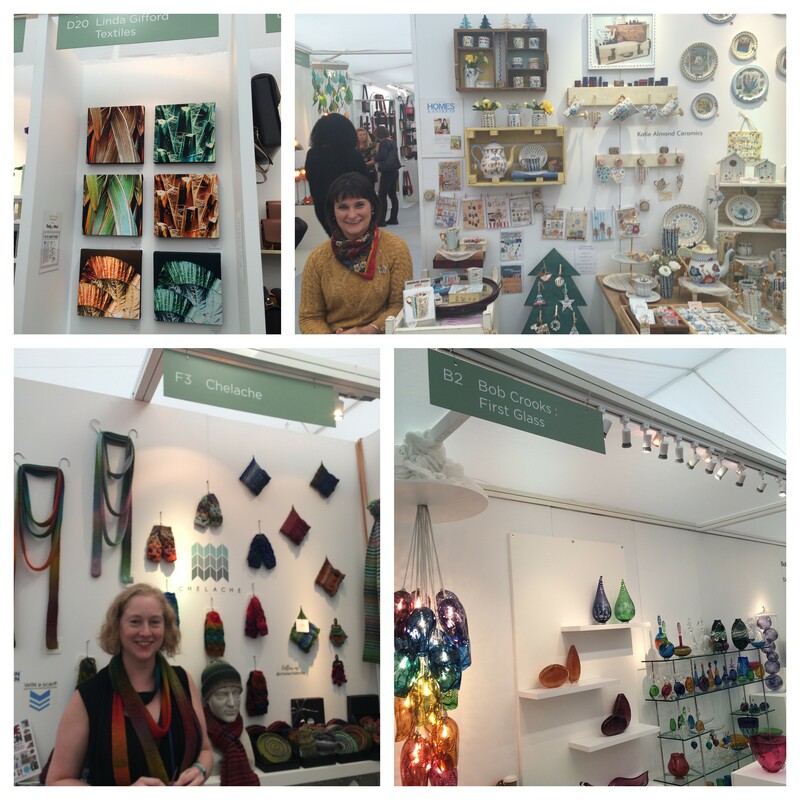 Some pashminas, ceramic tiles, tweed lampshades, knitted lampshade…handmade, of course! 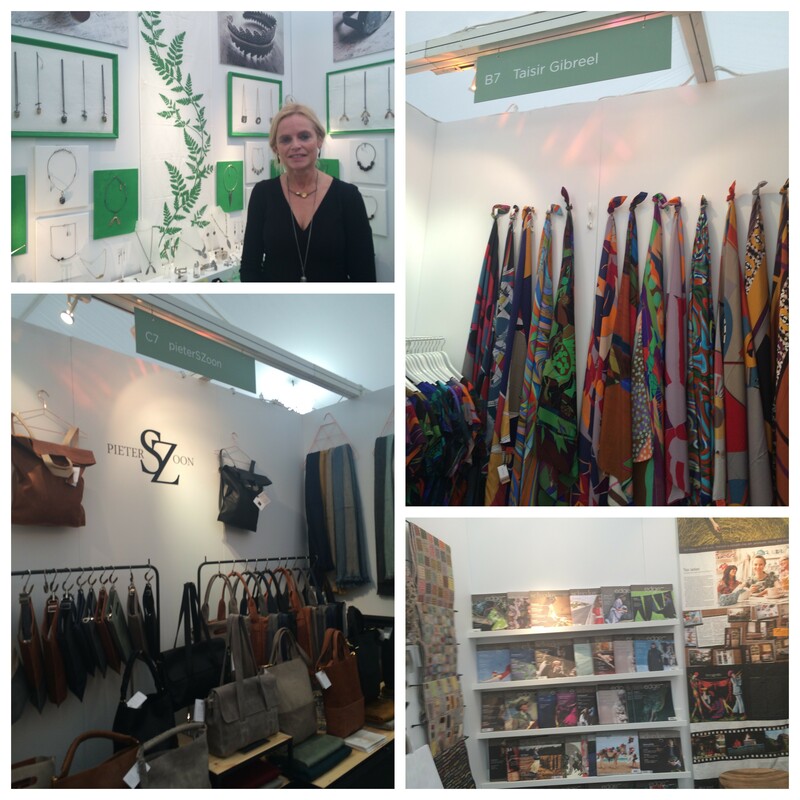 Jewellery, leather bags, magazine dedicated to textiles and scarfs…all under one roof! Whether you were looking for jewellery, bags, scarves or some stunning piece of home accessory, it was all available under one roof from across the world. So exciting and it was hugely helped by a cafe serving nice coffee and cakes. There were hundreds of stalls and sadly I can’t do justice to them all on this single page. So, I suggest you pop over to the next event at either Edinburgh or Chelsea and treat yourself to some goodies. If you are thinking of participating, then do get in touch with the Handmade team, right here and they will be more than happy to speak to you. Who knows, this may well be the platform needed for your business…. Support designer-makers, buy handmade…be notjustashopper!